A memorandum of understanding (M.O.U.) was signed between the Ministry of Education, Sports and Culture (M.E.S.C.) and special schools and service providers. Held on Monday, the M.O.U. marked a milestone for inclusive education in Samoa. The M.O.U. aims to clarify the current and planned services that are central to the Inclusive Education Policy. It also clarifies which services M.E.S.C. will provide to support each special school and each provider. This understanding allows M.E.S.C., special needs (Loto Taumafai, Fia Malamalama) and service providers (S.E.N.E.S.E., Samoa Blind Association, Nuanua o le Alofa) to work together more closely to help students with a disability in Samoa access education and participate fully in life. 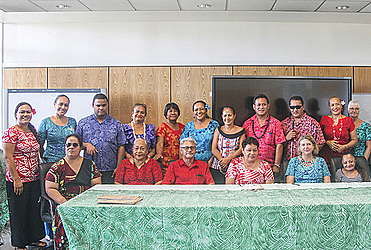 Part of the Inclusive Education Policy Implementation Plan is for the inclusive education force and working group, comprising representatives from across the education sector, relevant government agencies, non-government organisations and D.F.A.T, work collaboratively to develop an agreement to support inclusive education developments in schools in Samoa. “Inclusive education has a multifaceted nature and many areas need to come together to effect positive change to the presence, participation and achievement of all students vulnerable to exclusion,” a statement from M.E.S.C. said. Office Manager of Nuanua o le Alofa (N.O.L.A. 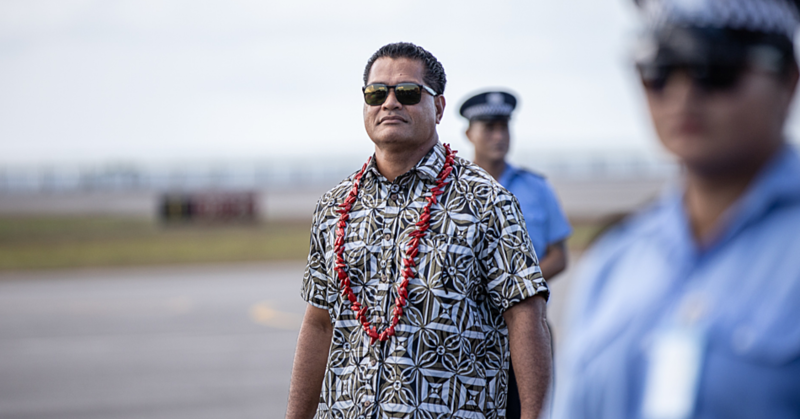 ), Mata’afa Faatino Utumapu, told the Samoa Observer this M.O.U. is designed to ensure that the services are done in a way that will reflect the rights of children living with disability. “This is a benefit for N.O.L.A. and likewise all the other service providers to ensure the mission of our walk as the advocacy body and to ensure that we walk alongside all the other service providers. She explained: “Whether they attend mainstream school or special schools, the memorandum of understanding outlines how the services should be carried out to ensure it reflects quality. “N.O.L.A. is an advocacy organisation. Our work is to promote inclusive education and promote the value of inclusive education at all levels through the programmes that we do. She mentioned all different organisations will benefit from this memorandum, which will open opportunities to many students to have better access to education. Mata’afa adds she is happy that there have been changes made compared to previous years. “This is good because back in our days, we had nothing, we go to mainstream schools and it was up to the teachers if they wanted to listen to us or take our concerns on board or not. “But with this agreement and with the other blessings that the children of disability have, I see it as a blessing in disguise.